MyStudyLife is an excellent, free, cross-platform student planner with a great set of features to help students stay organized. 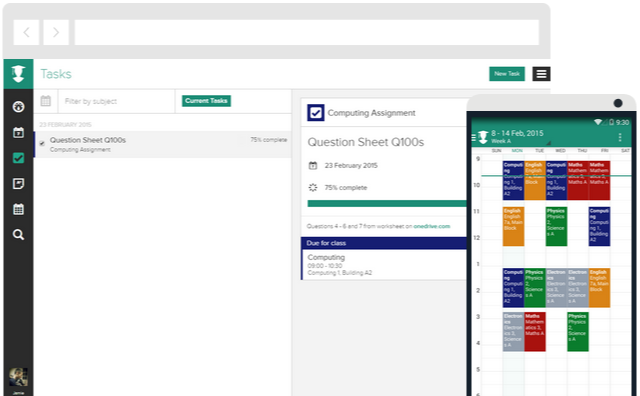 With it, students can organize their assignments and tasks based on their course schedules. The tasks are all shown on the homepage to remind them and the app even supports rotating and block schedules. It is available on iPhone, Android, Windows 8, Windows Phone and the web. It allows you to create a calendar with your class schedule, a task list, and reminders.